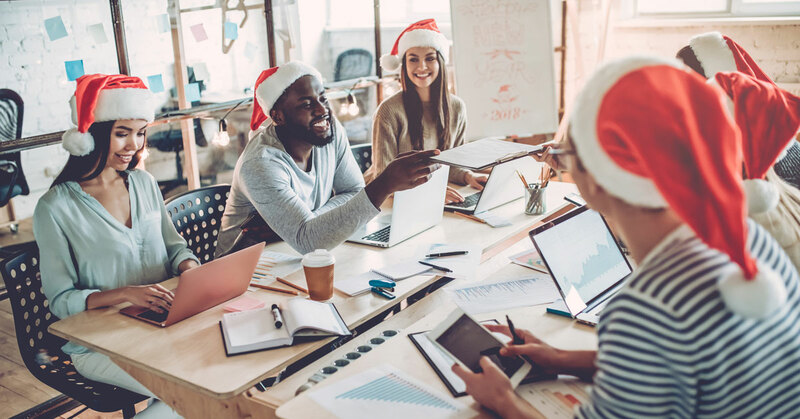 12 Days of Christmas – If you have a small business, highlight 12 different products that you sell for promotion across your social media channels. The items can be special holiday products, new products, or seasonal products. If you run a sporting goods store, for instance, highlight winter weather clothing or skis and snowboards. Promote special holiday pricing for a limited time, so you are having 12 days of flash sales. For the last day, highlight gift cards or gift certificates as last minute stocking stuffers. Have a Fundraiser – Charitable donations are always a popular option around the holidays. Choose a charity (perhaps a local one to drive interest in them) and donate a portion of a day’s sales to that charity or choose a particular product whose proceeds go to that charity. Charitable efforts don’t have to focus on cash donations. From canned food donations for soup kitchens, to stuffed animals and toys for children’s hospitals, there are many ways to donate and help those in need. Set up your store or office as a drop off point for donations. Make sure that you share a picture of the donations being delivered by employees in holiday or branded clothing! Tips, Tips, Tips – If your business is focused on a service or a product that doesn’t translate to daily flash sales, tips for the seasonal holidays or winter season, in general, make excellent social media posts. 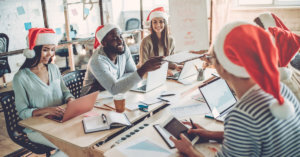 Whether you are discussing holiday safety or decorating tips, the holidays are a great time to give your business a personal appearance and voice. Contests – Everyone loves to win something. Create a raffle post where followers must like or comment on a particular post to be entered into the giveaway. Whether it’s simply sharing the post or asking for a big sports game final score, these kinds of posts are always popular. Sharing it across multiple social media channels is a great way to spread brand awareness. Create a Playlist – Music streaming sites like Spotify allow users to create custom playlists and share them with friends and followers. Put together a playlist and promote it via your various social media channels. It doesn’t have to be holiday themed; you can add songs which reflect your business or related theme. The playlist for performing CPR shared by NY Presbyterian Hospital is the perfect example of a thematic playlist. These are only a few ideas that you can use to promote your business via social media during the holiday season. If you have any questions about these strategies or you would like the social media team at Efferent Media to devise a custom strategy for your business, then give us a call today at (631) 867-0900 or fill out the simple form on our contact page. We look forward to hearing from you!